MELVILLE, NEW YORK, February 24, 2009 - FONAR Corporation (NASDAQ-FONR), The Inventor of MR Scanning™, reported today that Raymond V. Damadian, M.D., founder and president of FONAR Corporation, received the 2009 Honorary Fellow Award from the American Institute for Medical and Biological Engineering (AIMBE) for his discovery of MRI. The AIMBE Award was presented at the annual meeting of AIMBE, held February 11-13 in Washington, D.C.
AIMBE (www.aimbe.org) was founded in 1991 to establish a clear and comprehensive identity for the field of medical and biological engineering – which is the bridge between the principles of engineering science and practice, and the problems and issues of biological and medical science and practice. Representing over 75,000 bioengineers, AIMBE serves and coordinates a broad constituency of medical and biological scientists and practitioners, scientific and engineering societies, academic departments and industries. Honorary Fellow Awards are given to individuals who have made outstanding contributions to medical and biological engineering through scientific, educational, governmental, financial or industrial organizations. This award is not presented to individuals who have already been named to the College of Fellows by regular AIMBE procedures. In 1970, Raymond Damadian, M.D., made the discovery that is the basis for magnetic resonance (MR) scanning that there is a marked difference in relaxation times between normal and abnormal tissues of the same type, as well as between different types of normal tissues. This seminal discovery, which remains the basis for the making of every MRI image ever produced, is the foundation of the MRI industry. Dr. Damadian published his discovery in his milestone 1971 paper in the journal Science (Science 171:1151, 1971) and filed the pioneer patent for the practical use of his discovery in 1972. The MRI scanner uses these relaxation differences in diseased tissues such as cancer and in normal tissues to supply and control the brightness of the pixels that comprise the MRI image. These relaxation differences, which do not exist in any other imaging modality, provide the exceptional contrast and beauty found only in MRI images (10 to 30 times that of x-ray). The significance and importance of Dr. Damadian’s discovery in the origination of MRI was acknowledged by the U.S. Supreme Court in its 1997 decision, when the Court enforced Dr. Damadian’s original patent (U.S. Patent #3,789,832) that patented the relaxation differences and their use in scanning. With the aid of his post-graduate assistants, Doctors Lawrence Minkoff and Michael Goldsmith, Dr. Damadian went on to build Indomitable, the first MR scanner, which was conceived to take advantage of the relaxation differences among the body’s tissues. Indomitable produced the first human image, that of Dr. Minkoff’s chest, on July 3, 1977 and the first scans of patients with cancer in 1978. Indomitable has since assumed its rightful place in the Smithsonian Institute. FONAR was incorporated in 1978, making it the first, oldest and most experienced MR manufacturer in the industry. FONAR introduced the world’s first commercial MRI (a whole-body MRI scanner) in 1980, and went public in 1981. In 1982, FONAR introduced its patented iron-core technology, which is the basis for all Open MRI scanners. In 1984, the company invented Oblique Imaging, providing medical technology the means to produce multiple images “at any angle,” which was never before possible in medical imaging. In 1985, the Multi-Angle Oblique (MAO) scanning protocol, an innovative, dramatic extension of FONAR’s Oblique Imaging was invented and patented. In 1985, the FONAR MRI scanner at the UCLA Medical Center became the world’s first MRI in which an interventional surgical procedure was performed. That same year FONAR introduced the world’s first mobile MRI. 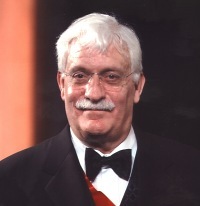 In 1988, Dr. Damadian was awarded the National Medal of Technology by President Ronald Reagan, which he shared jointly with Dr. Lauterbur, for “their independent contributions in conceiving and developing the application of magnetic resonance technology to medical uses, including whole-body scanning and diagnostic imaging.” Less than one year later, Dr. Damadian was inducted into the National Inventors Hall of Fame of the United States Patent Office for his pioneer patent of MR scanning, joining a select group of renowned pioneers, including Orville and Wilbur Wright, Henry Ford, Thomas Edison and Alexander Graham Bell, whose inventions have revolutionized our nation and society. UPRIGHT® and STAND-UP® are registered trademarks and The Inventor of MR Scanning™, Full Range of Motion™, pMRI™, Dynamic™, Multi-Position™, True Flow™, The Proof is in the Picture™, Spondylography™ and Spondylometry™ are trademarks of FONAR Corporation.